Just Mobile's ShutterGrip is an upcoming accessory that Apple World Today's Dennis Sellers recently reviewed, and it easily gained a 5-star rating. ShutterGrip has a contoured ergonomic non-slip hand grip that makes it easy to keep a steady hold on your iPhone, as well as an easy to push wireless shutter button. You can get a ShutterGrip on sale this week for $29.99 - 25% off the pre-order price of $40. Available in black, rose gold and blue, the ShutterGrip is the perfect accessory for any serious iPhone photographer. 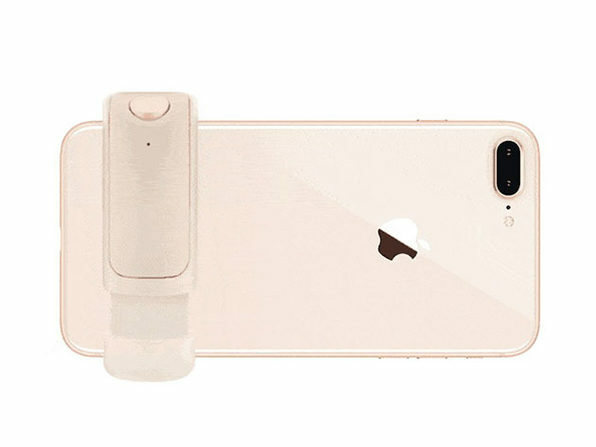 It works with almost any model of iPhone, with or without a case, and comes with a tripod screw for mounting on your favorite tripod or monopod. A lanyard hole and included wrist strap make your iPhone and ShutterGrip easy to carry. Pull off the button, and you now have a handy remote for taking photos from up to 30 feet away. Order now, and you'll have your ShutterGrip in mid-April just in time for your spring and summer outings.